3) Once you cut your pieces, simply glue them together. 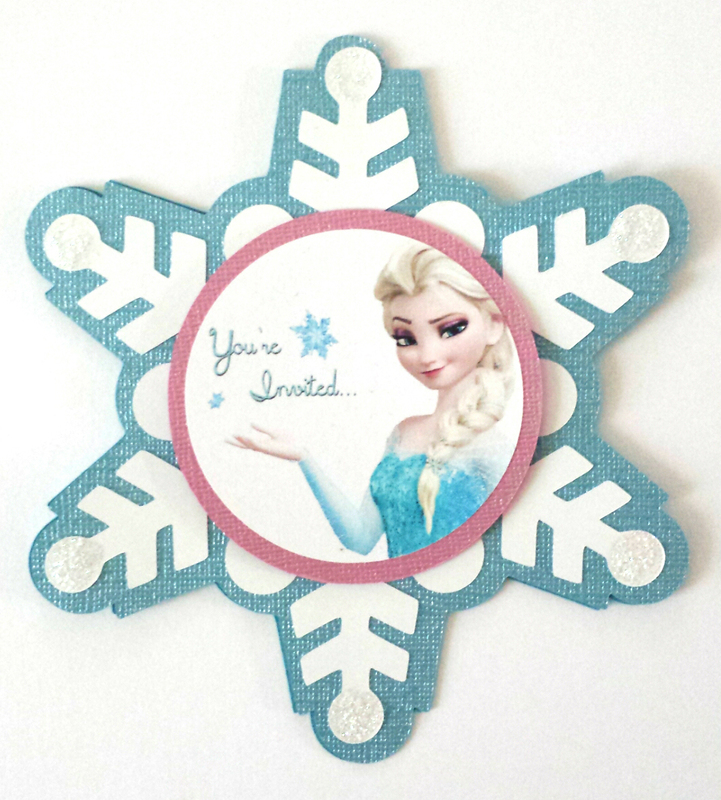 I glued the white snowflake and the party information pieces directly onto the blue snowflake that opens, then glued the printed Elsa onto the circle. 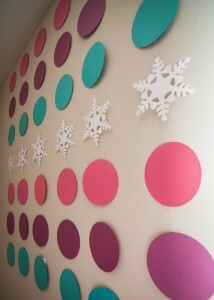 Then to give it some dimension, I used adhesive circles to pop up the circle of Elsa on top of the white snowflake. 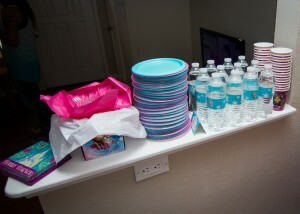 5) Enjoy your party! 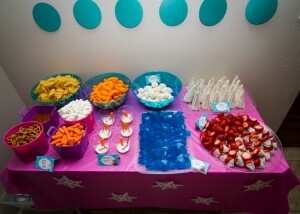 Look below for some easy party decorations and ideas! 1. Frozen Birthday Banner – just use the same snowflake .svg that I provided, circle cutouts, and string them together with fishing wire and tape. Easy Peasy! 4. 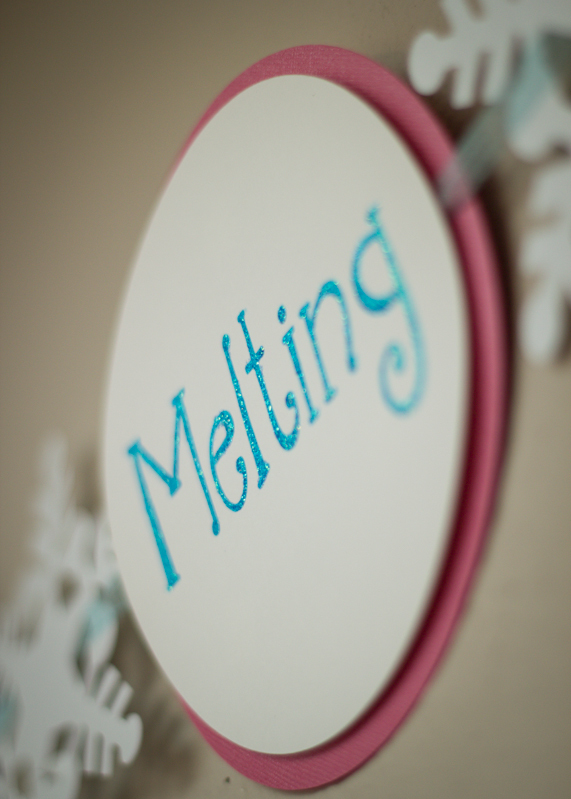 “Some People Are Worth Melting For” banner. 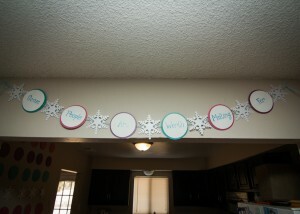 Use circles and the provided snowflake .svg to recreate this banner. 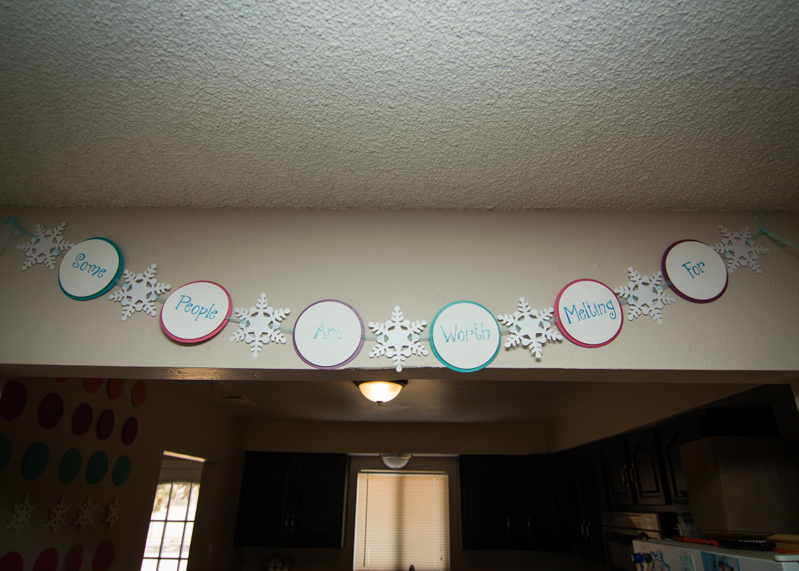 Use glitter on the printed words to really make it shine! HAPPY 6TH BIRTHDAY to this little ice queen, Novalee! Aunt Ari loves you! 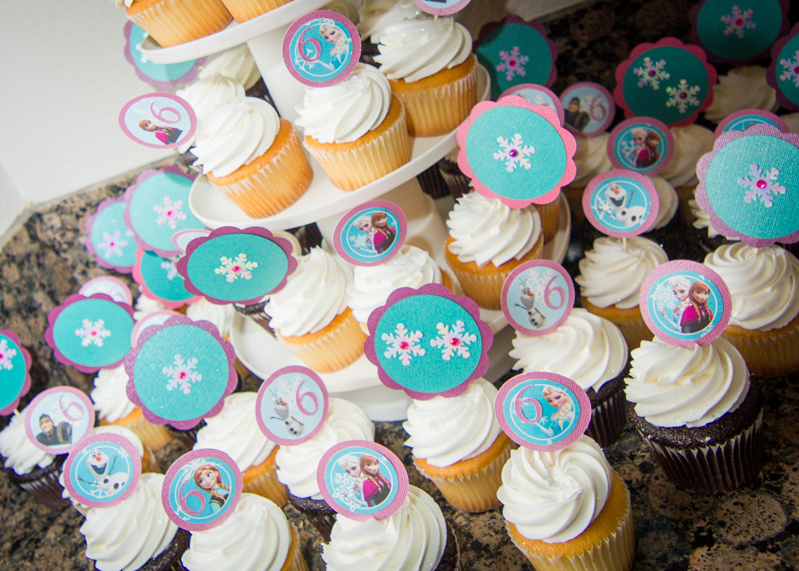 You are currently browsing the Grealish Greetings blog archives for July, 2014.